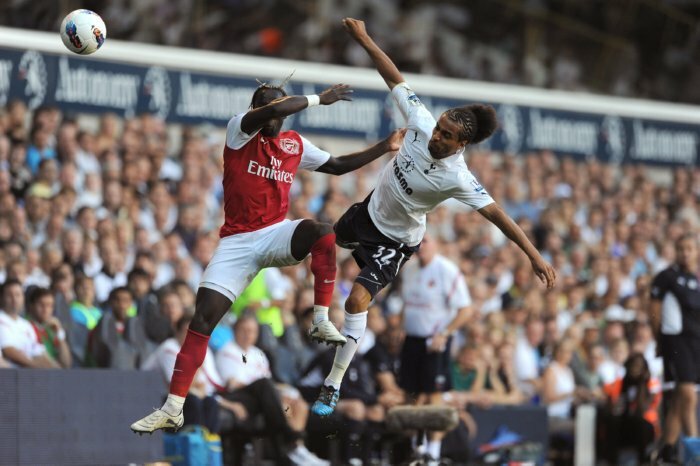 Yesterday’s North London derby itself was a largely good-natured, entertaining affair (save for Bacary Sagna’s unfortunate, inadvertent leg-break), with Kyle Walker scoring the victory for Tottenham – sweeping a 25-yard winner past Wojciech Szzczccsczczzccesny with 17-minutes left to play. 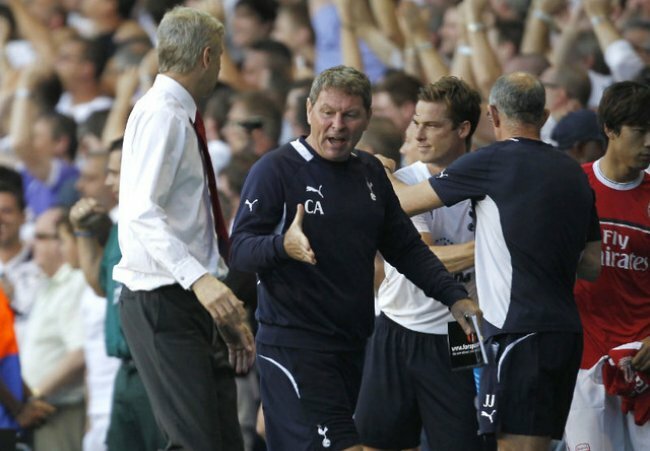 However, as per usual with these kind of things, ’twas on the touchlines and in the terraces that the ugly stuff bubbled up, with Spurs coach Clive Allen branding Arsene Wenger ‘two bit’ after the Frenchman refused/missed (depending on who you believe) a hand-shake at the final whistle, thus instigating a brief post-match tiff between the two that had to be quelled by the stewards. 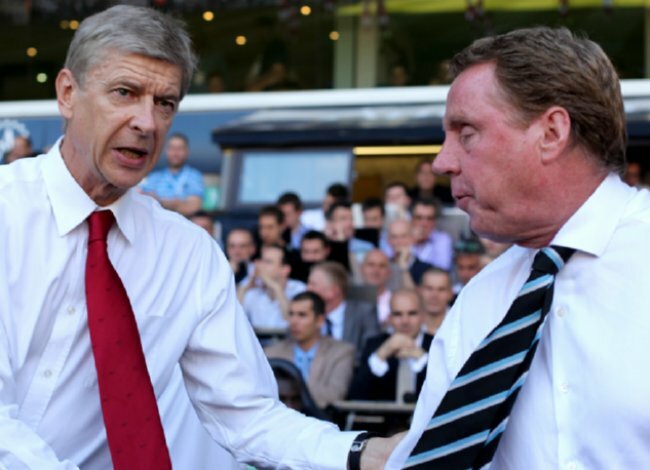 “I think Clive went to shake hands with him and [Wenger] missed Clive – he didn’t see him. “I shook the hand of the manager and the assistant. How many hands do I have to shake? Is it a prescription? 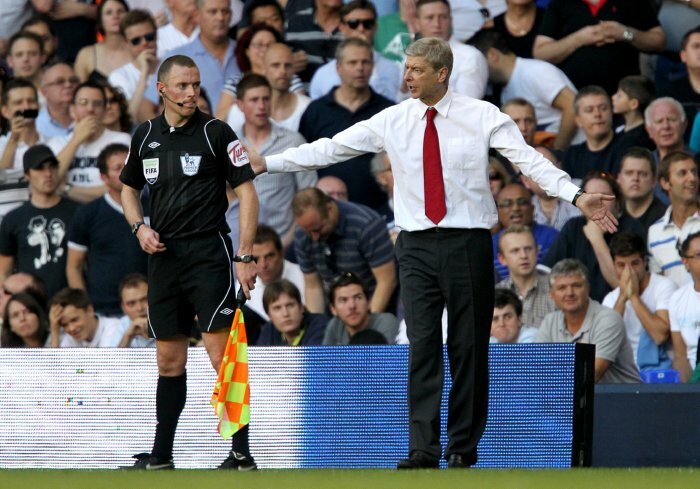 We’ll let you decide using the photographic evidence above whether or not Monsieur Wenger ‘missed Clive’ or not. It’s perhaps also worth bearing in mind that it’s not the first time he’s pulled a ruse like this – just ask Phil Brown, or failing that, Kenny Dalglish. Elsewhere, Arsenal fans laid it on thick by telling Emmanuel Adebayor, en masse and in perfect harmony, that they wished he himself had died in the fatal shooting that the Togolese striker witnessed first-hand at the African Nations last January while the Spurs faithful struck up a rousing rendition of the classic ‘Wenger is a paedo’ toe-tapper. Classy stuff, I’m sure you’ll agree. 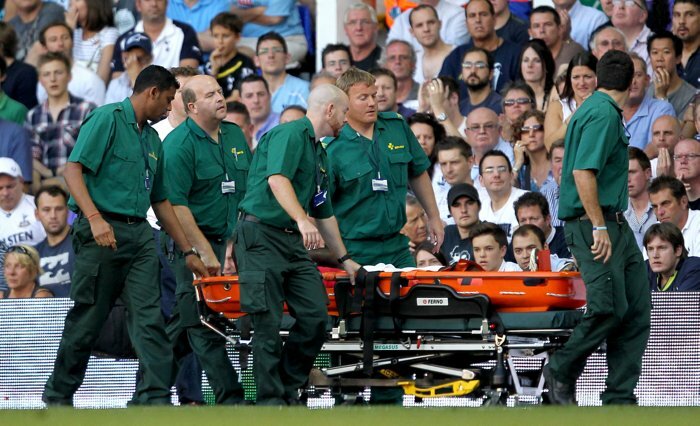 The whole Adebayor chanting thing was in fact started by Tottenham. “Your Dad washes Elephants, your Mothers a whore”. Now they are taking the moral high-ground by condemning Arsenal’s chanting. 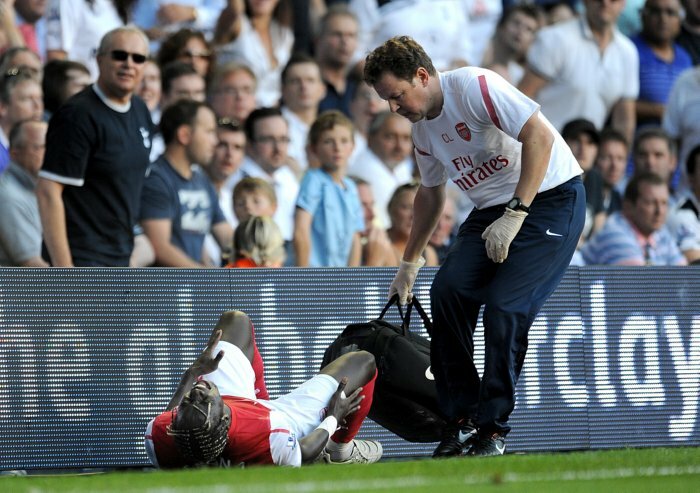 No man deserves to have seen what Adebayor saw. As an Arsenal fan I’m absolutely disgusted with the fans. ‘Moral high-ground’ debates can be left for later. 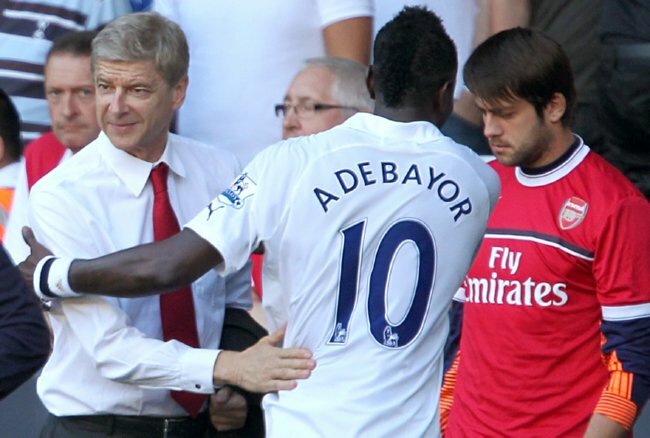 At least Wenger smiles with Ade….in the pic :) !!! Wenger’s sulking seems to be contagious, since Anelka obviously learned from him during his brief time at Arsenal. Arsenal manager and some of his players are disgusting and revolting. There’s something about this club and their ‘marble halls’ sense of grandure which they think sets them above everyone else. Wo-be-tied anyone who dares try to takle or take points off them. The refusal to shake hands when they lose games is sheer dispicable. Revolting Arsenal. Revolting.